Back on My Feet combats homelessness using the power of running, community support, and essential employment and housing resources. 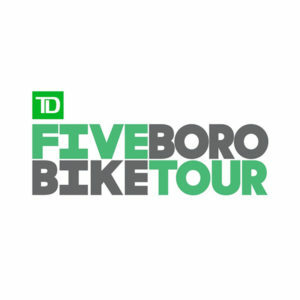 Bike 40 miles through all 5 boroughs on May 5, 2019, and register for the 2019 TD 5 Boro Bike Tour with Back on My Feet for a guaranteed bib and the chance to raise awareness and funds for individuals experiencing homelessness in New York City. The fundraising minimum is $750 for your guaranteed entry, and funds must be raised by May 19, 2019. Click the “REGISTER” button to join our team, or if you have any questions, please contact Andrea Enfield, Development and Marketing Coordinator at andrea.enfield@backonmyfeet.org.